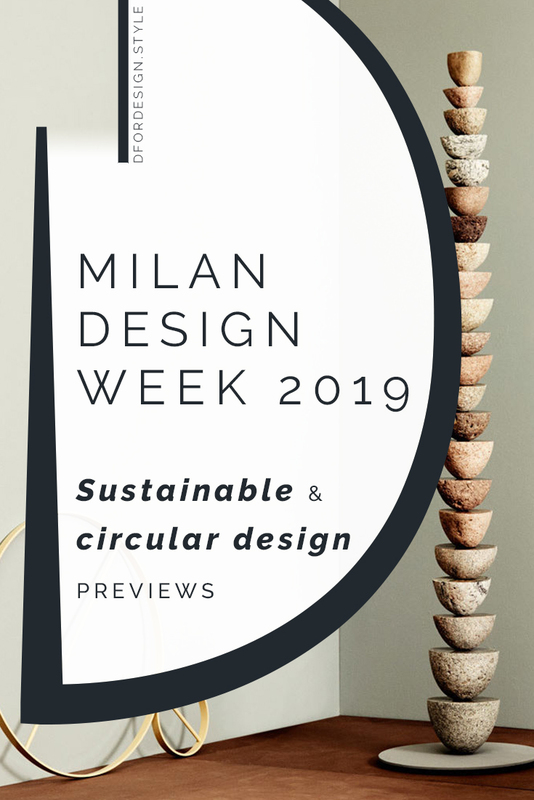 This year’s edition of Milan Design Week is particularly focused on sustainable and circular design and there are also some interesting connections with biophilic design. In short words, there are quite a few events I’ve put in my must-see list! Ready to see them? Let's start! Event aimed at discussing the topics of air and water quality. 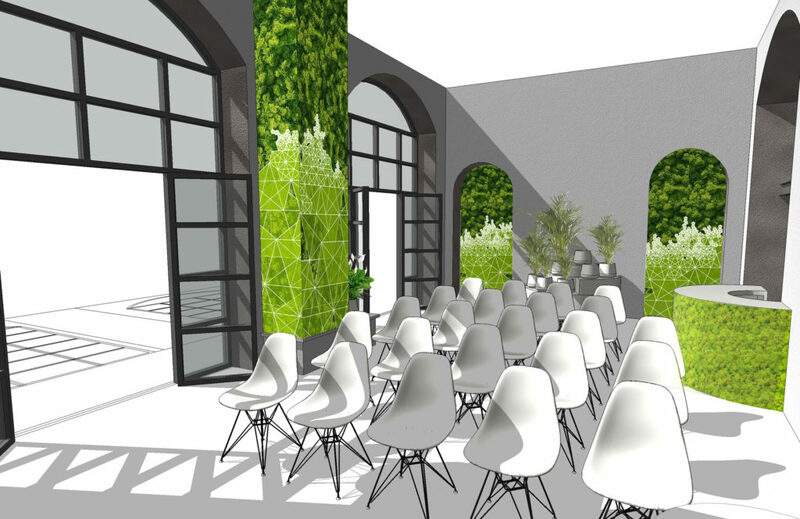 It will showcase several solutions from tools to measure indoor air quality to purification strategies that employ fascinating technologies like nanotechnologies and phytoremediation. 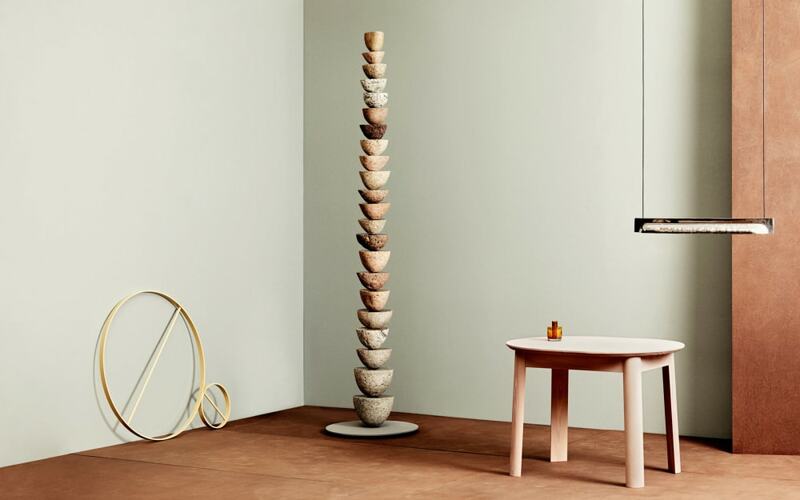 Read more about "The Power of breathing"
Exhibition of sustainable furniture and other craft objects produced by 21 Norwegian designers and artists. In particular, the participants have been asked to consider the sustainability requirement in its broadest sense. The products exposed will not only be sustainable in terms of materials and use of resources, but will also represent the consideration of democratic and inclusive processes and a reflection on the needs of future generations. Read more about "Join by Norwegian Presence"
Exhibition curated by La Rivista del Colore about sustainable finishes. Besides showcasing their performance in terms of colour and perception, the event will be the occasion to open the discussion about this topic, that is more commonly discussed in the B2B environment. 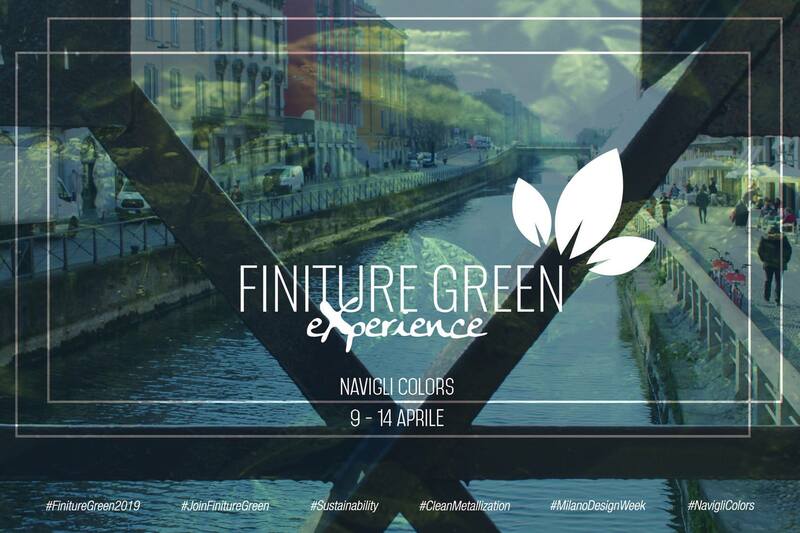 Read more about "Navigli Colors"
Sustainability is at the heart of Brera Design District this year, with the concept “Design your Life: the sustainable and conscious planning of one’s own choices”. The idea is that re-thinking our personal choices in life with a design perspective will make us happier. As an example, mistakes are an integral part of any design process and are seen as an occasion to learn and progress. In daily life instead, mistakes are often seen as fatal and inacceptable. 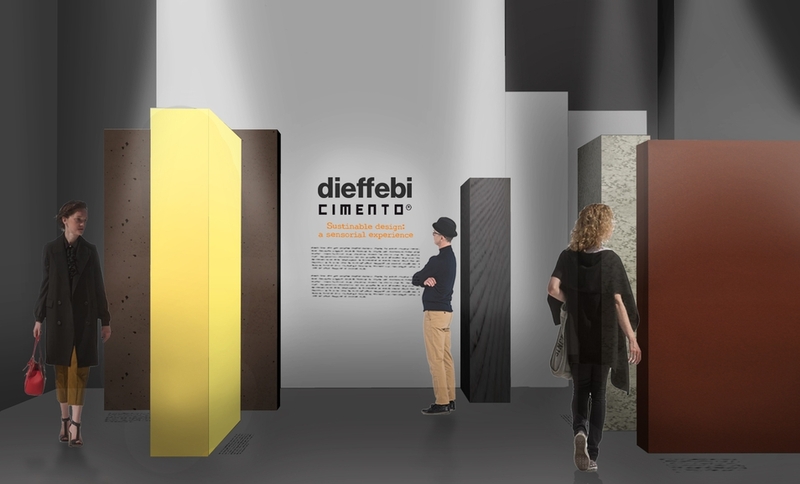 This event – created by Iris Ceramica Group, SOS (School of Sustainability) and Mario Cucinella Architects – will present new ceramic products that absorb harmful VOCs from the air. The focus of the installation will be the connection between humans and nature. 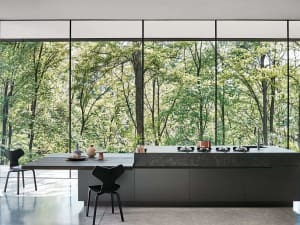 In this terms, these innovative products are seen as precious tools to improve the quality of the spaces we live in and not just as a new product release. A sustainability superhero raising awareness on the importance of recycling. Designed by studio Gio' Forma and Timberland, RoBOTL will be a massive 6 meters-tall robot made of recycled plastic bottles and production scraps from the design industry. It takes its name from Rebotl, the new capsule collection by Timberland that re-uses plastic bottles to produce a fabric. At the RoBOTL recycling station visitors will have a chance to recycle their plastic bottle. And they'll also get vouchers for a free reusable bottle by 24Bottles. An installation telling the story of packaging from initial design to recycling, curated by the Italian Packaging Institute. In an era where consumers are becoming more critical about unnecessary packaging, it will be interesting to see the whole process. In particular, I'm curious to explore the thinking process behind the choice of packaging, in its mix of functionality considerations (choosing the best materials to protect and conserve the actual product) and marketing (considering how the packaging will influence sales). 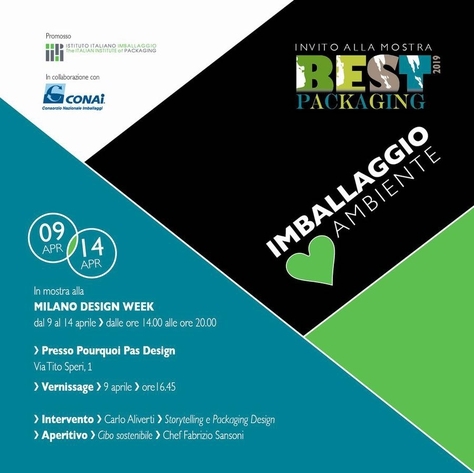 Read more about "Best Packaging 2019: Imballaggio loves Ambiente"
Do you feel wood? Touch. Sound. Smell. Shape. A multi-sensory installation to feel wood surfaces from closer. 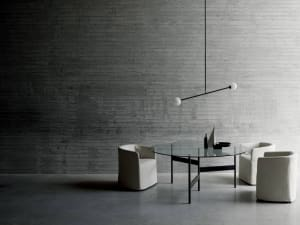 The event will take place at the new Fiemme 3000's showroom and will also be the occasion to present their new collection. 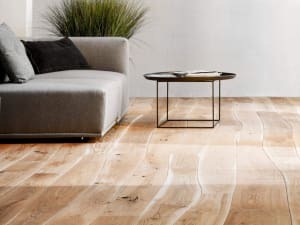 Fiemme 3000 is the producer of a unique wood flooring that not only doesn't release harmful VOCs, but produces beneficial ones instead! I was truly impressed when I first discovered them and I can't wait to feel their woods! 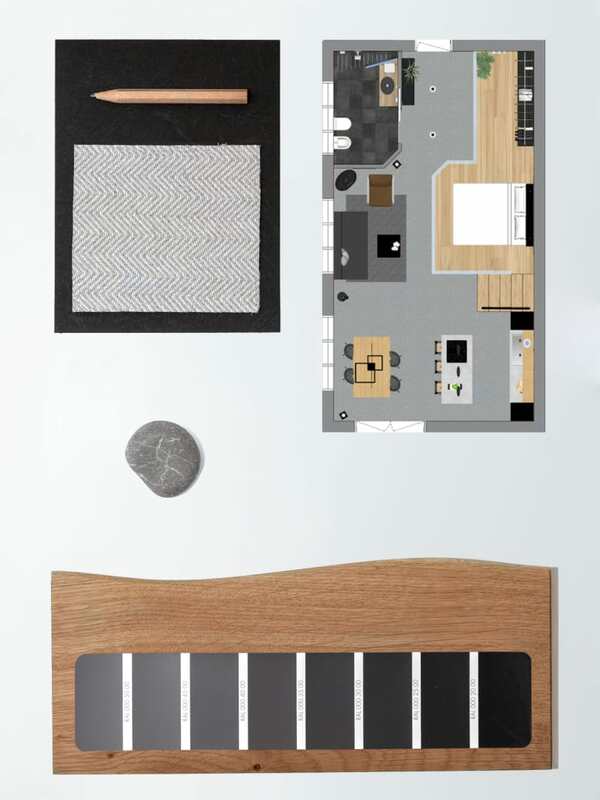 If you're curious about this beneficial wood flooring, you can find Fiemme 3000 on SforSustainable. Read more about "Do you feel wood? Touch.Sound.Smell.Shape." A circular economy installation, talking about reuse and recycling of raw materials. 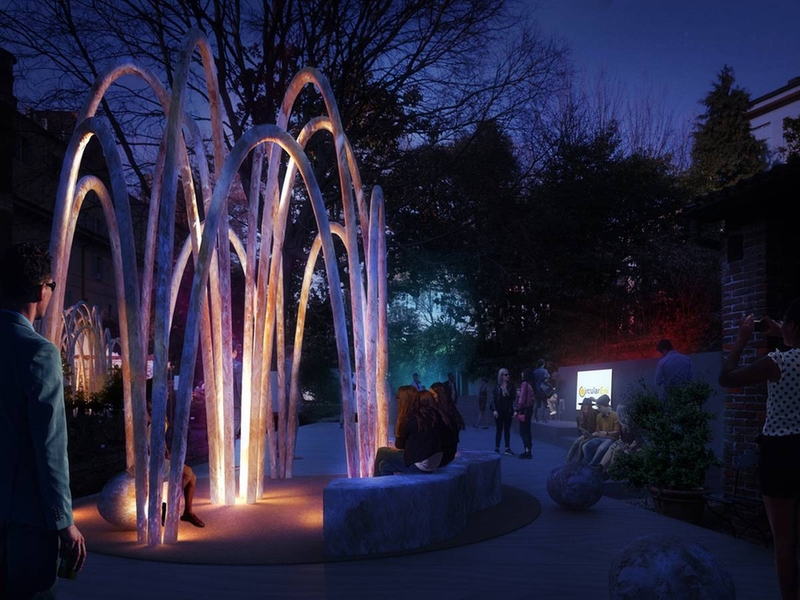 Designed by Studio Carlo Ratti Associati and Eni, it will be the perfect excuse to spend some time in the beautiful Botanical Garden of Brera. Read more about "The circular garden"
Exhibition showcasing sustainable materials in a path that invites the use of all 5 senses to discover them. 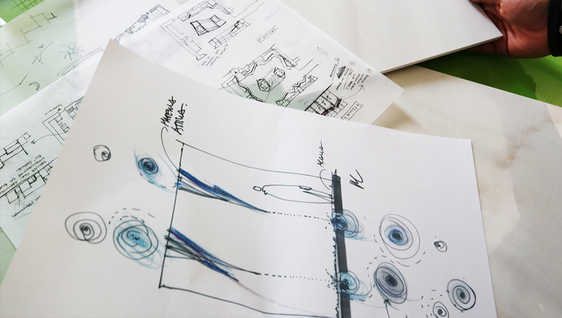 Read more about "Sustainable design: a sensorial experience"
Forum about circular economy. Besides sharing knowledge about what materials, processes and social changes are needed to move towards circular economy, the forum also aims at transforming 5 vie in a circular economy district! Read more about "It's circular forum"
Exhibition about bio design showcasing the work of 8 Dutch designers experimenting with new technologies and materials. The theme of waste and sustainable use of resources will be at the heart of the event. Read more about "Future (H)eart(H)"
The theme of this lab is circular design and the aim is starting the conversation on how waste can be reused (which makes me think about the 7 projects made out of trash I shared in a previous post). The event will coincide with the opening of the TRASH2TREASURE platform (opening early April 2019). At first, this will be a place for designers to find inspiration and access to up-cyclable materials. And then it will eventually evolve into a circular design shop as well! 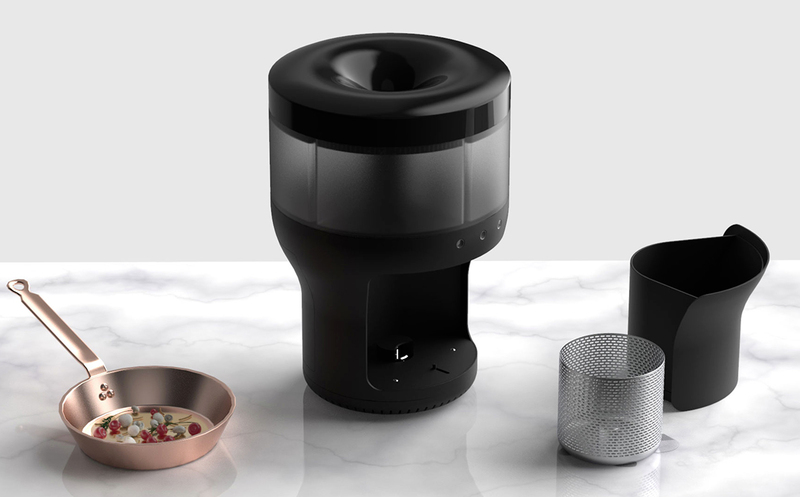 Read more about "TRASH2TREASURE workshop lab"
This exhibition is dedicated to Braun (the famous household appliances brand) and shows the link between the new trends and evolutions in cooking technologies and basic human needs such as eating, drinking and self-caring. In particular, the Zero Waste corner will show inspirations on how to re-use food leftovers in new recipes...I'll be taking notes there! Read more about "Reflection. 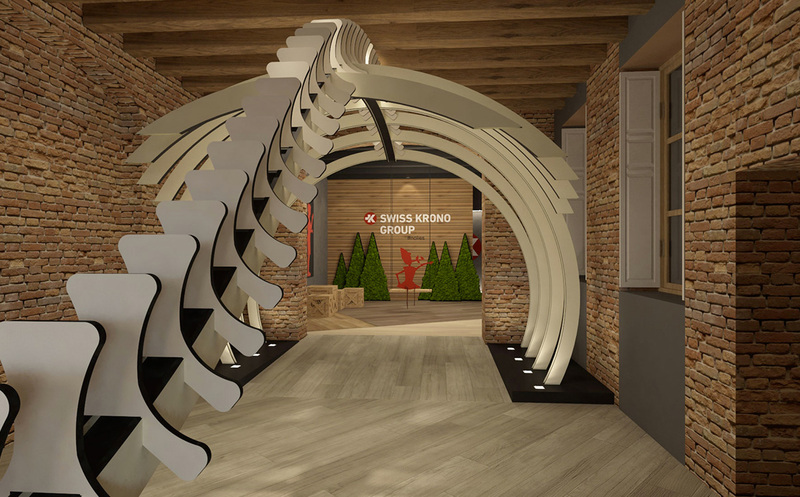 Design driven by the future"
This installation – curated by Swiss Krono Group – wants to represent the company's journey towards sustainability. To do that, they'll take inspiration from the famous Italian story of Pinocchio and represent the steps and mistakes that led Pinocchio into a real boy. 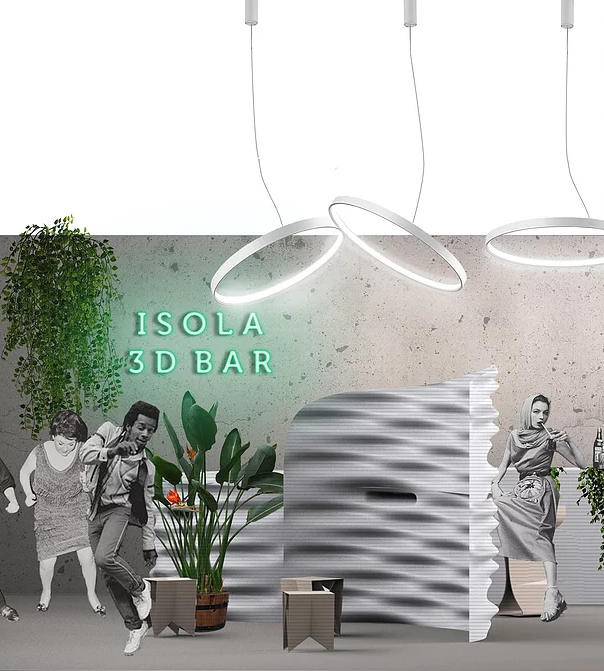 Read more about "Be sustainable"
A bar that has been entirely 3D printed using a generative design process by Caracol Studio. The design promises a surreal setting and organic forms...sounds good! 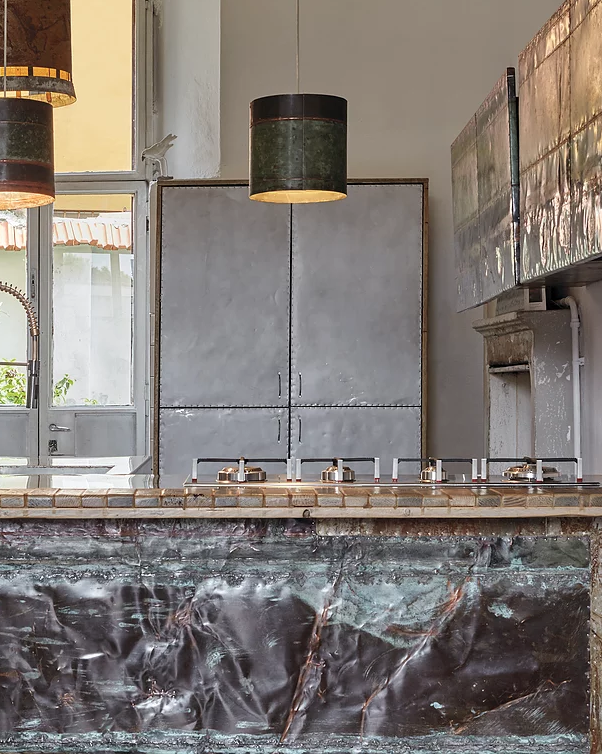 Read more about "3D printed bar"
Exhibition showcasing the work of Pietro Algranti, who makes bespoke furniture and objects using raw and recycled materials. 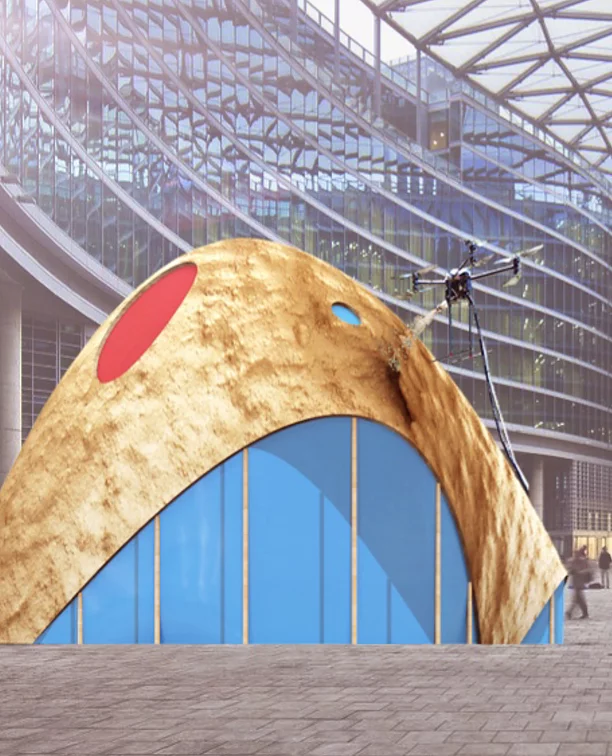 Read more about "Algranti Lab"
Prototype of a home made entirely with sustainable raw materials that still ensure good performance (design by Stephanie Chaltiel). A sturdy bamboo structure allows good volumes and stability whereas clay finishes provide thermal insulation. The home is fabricated by drones and stands as an alternative to traditional fabrication methods. 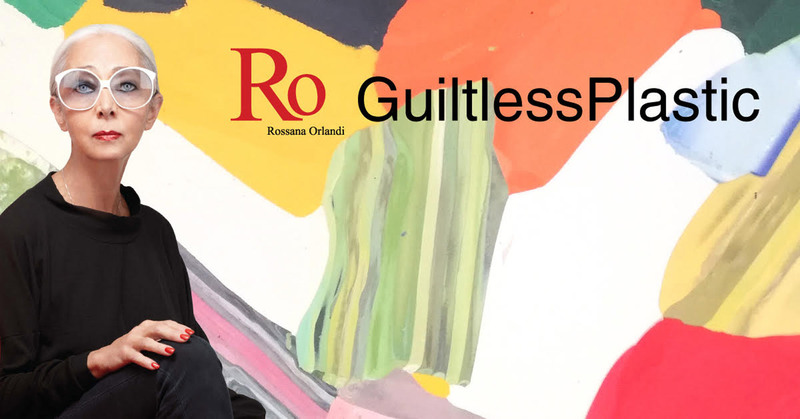 A project launched by Rossana Orlandi in response to the general rejection towards plastic. The call has been for designers to give plastic a new life, thus "making it guiltless". 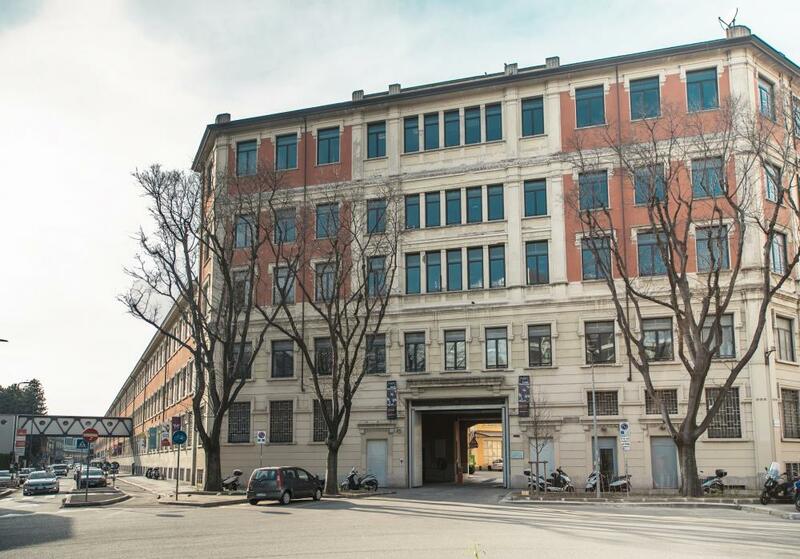 The best projects will be exposed at Rossana Orlandi Gallery. 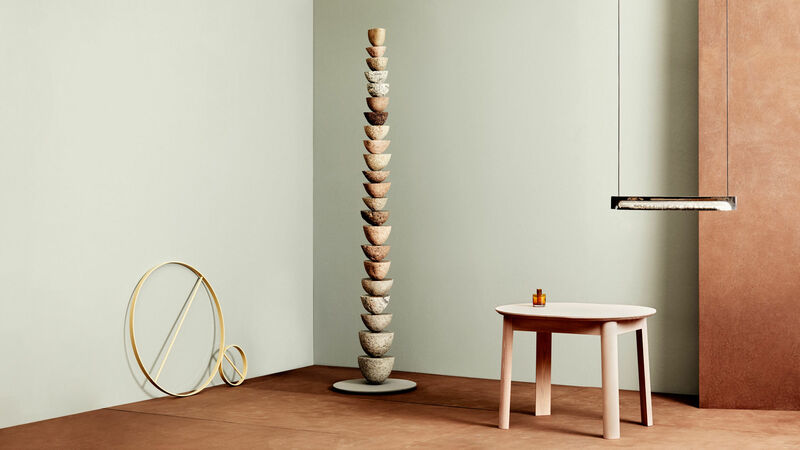 Read more about "Guiltless plastic"
So here it is, my huge list of must-sees for Milan Design Week 2019! I'll be sharing my discoveries in real time on Instagram during the entire week, so be sure you follow along! 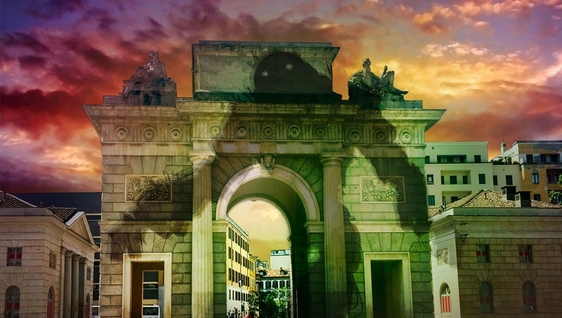 And if you'll be in Milan, I hope to see you there!